Surveys the dinosaurs and other smaller prehistoric reptiles and describes many individual species. About PETER ZALLINGER (Author) : PETER ZALLINGER is a published author of children's books. 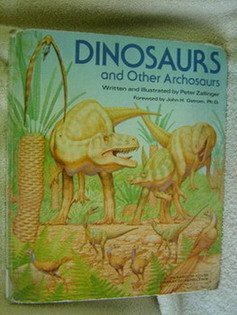 Some of the published credits of PETER ZALLINGER include Dinosaurs and Other Archosaurs, Dinosaurs, Prehistoric Animals (Pictureback(R)).